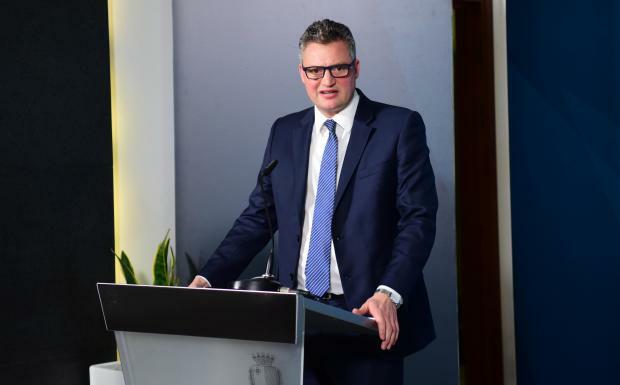 Tourism Minister Konrad Mizzi on Thursday faced a cross-examination in a number of libel cases revolving around allegations stemming from the Panama Papers scandal, among others. Minister's lawyer says documents presented in court are not permissible in terms of procedural law. 12.55pm: The cross examination is suspended and the case is adjourned to March 7 for Nexia BT's Carl Cini to testify about the documents. The minister has been excused for that hearing in agreement between all parties. Dr Mifsud Bonnici says cross examination was not being conducted with respect to the other libel cases since the other defendants were not present. 12.52pm: The source of the Panama Papers documents is dubious, and is not permissible in terms of procedural law, Dr Mifsud Bonnici says, as the minister confirms his signature is present on the documents presented. Magistrate says Nexia BT's Carl Cini should be summoned to confirm the authenticity of the documents he had drawn up. 12.45pm: Dr Mizzi's lawyer says the Panama Papers do not represent Malta's laws, as he objects to documents presented in court. 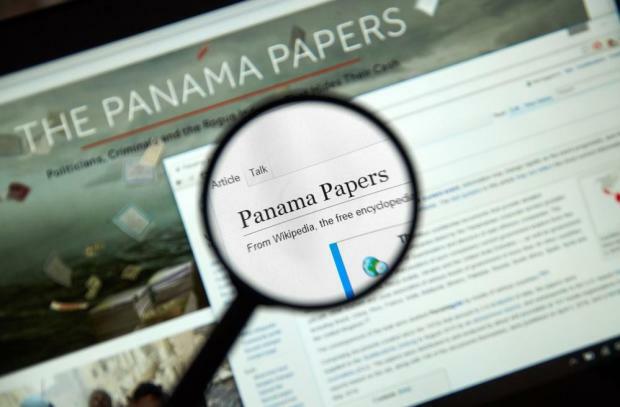 Peter Fenech hits back: "All the world discusses the Panama Papers, except Malta." Lawyers Aron Mifsud Bonnici and Peter Fenech. 12.40pm: Konrad Mizzi says he "acquired" the company Hearneville in June/July 2015 - it was nowhere close to the five days after 2013 elections as alleged. Dr Fenech reminds Dr Mizzi that according to the code of ethics, ministers are barred from doing private work. Minister says he does not. So why did he open the company? It was opened as a family investment, for Rotura Trust, the minister replies. So why not open it in Malta? It was Nexia BT which advised him to open a New Zealand trust. 12.38pm: The minister insists that he has no other companies or trusts abroad. Dr Mizzi says he has an "international" family and had followed his advisers advice to set it up in New Zealand. 12.36pm: Dr Mifsud Bonnici reminds the court room not to repeat "speculation", after a court on Tuesday turned down a request by Simon Busuttil to have a magisterial inquiry opened into the key protagonists of the Panama Papers revelations. 12.34pm: Asked who owns secret companies 17 Black and Macbridge, the minister continues with his line: "I don’t know. I have no relation with whoever they belong to." Minister's lawyer butts in and describes the questions as a fishing expedition, "with large trawlers". But Dr Fenech hits back and says the companies were opened just five days after the 2013 general election. 12.29pm: Lawyer Peter Fenech asks the minister how a professional person could have implicated him with a company and sent an email without his authorisation. The minister replies: "The email was confusing. It refers to different things. Nexia reassured me that I had no involvement direct or indirect with those companies. I reaffirm that I got to know of the email in the media. No one had spoken to me about it." Dr Mizzi insists he was never going to receive the figure of money mentioned therein. "It's useless to ask me about an email I did not write myself. I was reassured that I had no relations with those companies." SURREAL: @konradmizzi says under oath that he has no idea that he was to get €5,000 a day from #17Black and #Macbridge. 12.21pm: Dr Mizzi denies that he opened the company right after the 2013 general election. He says the first time he saw the names of companies was on blog posts before the 2017 elections. He says he had asked Nexia BT about the companies mentioned. Brian Tonna from Nexia BT told minister: "Don’t worry. Nothing to do with you." 12.15pm: The minister is asked about his ties to secret company called Hearnville. He said it is no longer in existence and was owned by a trust set up by himself. Leaked documents had shown Hearneville was going to receive monthly €150,000 from Macbridge - but the minister insists he has never had any relation with Macbridge. 12.11pm: The cross-examination finally starts. Minister Mizzi is asked about his links to secret company Macbridge. Dr Mifsud Bonnici immediately objects to question saying there was no reference in the minister affidavit upon which the cross examination was to be based. Dr Fenech says Macbridge was linked to the Panama Papers mentioned in affidavit - and so the question is relevant. The magistrate asks Dr Fenech if he has documentation showing link of Macbridge to Panama Papers. The lawyer presents email linked to Panama Papers which are in the public domain. Background: Nexia BT's Karl Cini said in e-mails that 17 Black and Macbridge would be paying in money to Bahamas accounts. 12.04pm: Just a few minutes into the sitting and tempers are already flaring. 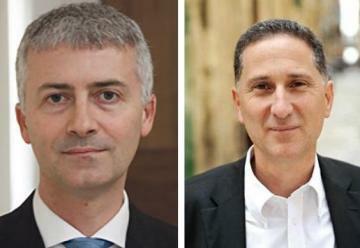 One of the libel cases had been filed against Simon Busuttil as Nationalist Party leader. The acts have now been assumed by Adrian Delia but the PN leader so far never turned up, the lawyer says. PN Leader @adriandeliapn fails to turn up for his own court hearing. Not once did he show up. @SimonBusuttil stands in his stead. Who is the @PNmalta leader? Simon Busuttil hits back and says Konrad Mizzi has not turned up to court in the past. Dr Fenech rebuts the accusation and says that Dr Busuttil was present for another libel case against him. 12.02pm: Konrad Mizzi's lawyer Aron Mifsud Bonnici is lamenting about the last sitting when Dr Fenech had complained about the minister’s request for adjournment. Such comments had been made without his client being present. Comments made about the minister for failing to turn up for his case are untrue and not correct, the lawyer explains. 11.55am: MPs and lawyers Simon Busuttil, Beppe Fenech Adami, Jason Azzopardi are among those in the court room. Last November, Dr Mizzi had been accused by lawyer Peter Fenech of taking the court for a ride and of trying to avoid cross examination. In light of these arguments, the magistrate had told the defendants to summon the minister for Thursday's hearing. Two of these cases had been instituted against slain journalist Daphne Caruana Galizia. The other libel suits stem from comments made at a press conference regarding the privatisation of the Delimara power station.